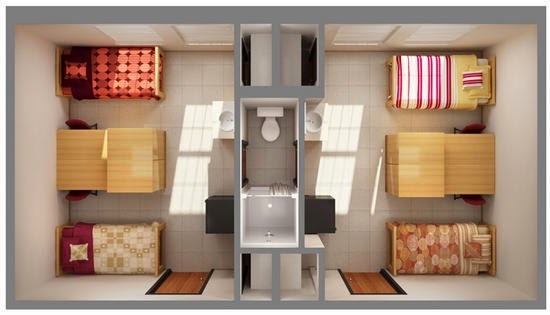 Home »Unlabelled » Dorm Bedroom Designs. 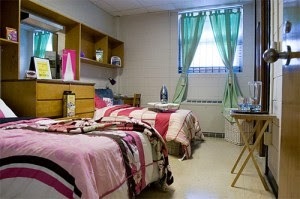 Dorm bedrooms.. basically ..many people sharing the same room..in a particular space. 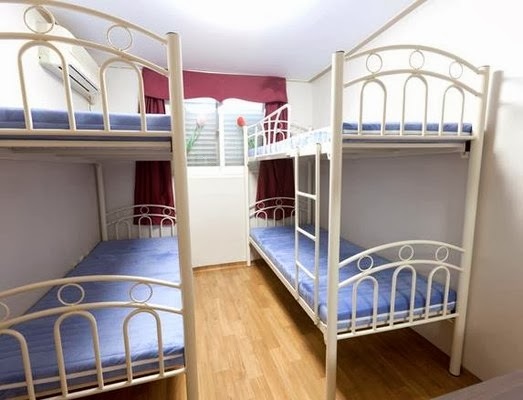 This type of designing and sharing is found in hostel's , cheap hotel rooms, dormitories etc. When the space is insufficient .. n inadequate to accommodate too many people ..its a handy and cleaver tool to be used. If designed properly.. and smoothly ..such rooms also turn into a great space to live in .. share with and have a good time with room partners. Proper space management is the main key to get a beautiful dorm room .. as it is designed for more than one person.. it should have good space to walk in and walk out.. proper space to move in .. common design pattern to share.. cool and smooth colors to keep the room cool and calm .. arrangement of furniture should be clear enough to give a smooth path of walking.. etc. Kind of an easy job to do.. but has its own challenges. As a designer its always fun to design any kind of space.. so, its one of them. Have a fun and interesting designing.